Classes have gone well, and I’m staying on top of homework thus far. I’m anxious for when things really start to dig in. My favorite class is my writing class. We get to pick our own general topics for the papers as long as they meet the prompt. For my second paper, I’m going to be doing extensive research on the different language used to women and how it affects culture as a whole. This will further go into a larger project I’m doing on the side for an Honors portion. This is us on our first night on the water! We rowed in a barge to get used to it. I joined the men’s crew team! I’m a coxswain a.k.a. the person sitting in the stern (or bow if it’s a four) yelling at the rowers and motivating them. It’s going really well, and I’m making a lot of friends. This is something completely new to me, and I’m so excited to be part of such an awesome team. Our first regatta is in two weeks and I’m nervous to see how things shape up at practice. We practice every day but Sunday, and it’s quite the schedule to keep up. I don’t mind missing a lot of clubs for it because they’re a great group of people and I’ve learned a lot over the past month with them. I’ve gone home once for family pictures, and it was nice to see everyone. I missed my cat! Leaving my parents for a second time was a lot harder and weirder than I realized it would be. The first time is always the toughest, but I had my friend Anna to help me through the first transition. No one ever talks about when you go home the first time and come back! It’s strange and still hurts in an unexpected way, but don’t worry!! I came back from it (thanks to a phone call to my sister), and now I know what to expect. That’s all I have for now folks. I hope you have a spooky October! Hello and happy Thursday! It’s Friday eve, and I’m so excited to get through my one class tomorrow and to crew practice. I have been enjoying college so far, but I’ll address that later on with a catch up post. 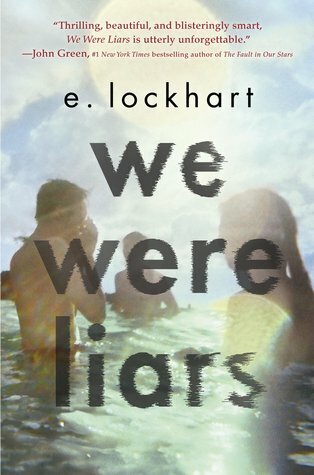 Today I’ll be talking about We Were Liars by E. Lockhart which was published a few years back. I finally got around to reading it, but it was the special deluxe edition — which is super pretty and aesthetic. This book was… I don’t even know how to feel about this book even though I finished it a month or two ago. It was quite the mind trip, and I don’t know how to feel about the *twist* of the ending. I know it’s divisive, one of my best friends loves it and the other hates it. One of the things I felt the whole time was how murky and unreliable the narrator is. Cadence is swimming in the unclear memories she has and her friends are there to help her uncover them. At the very beginning I didn’t trust Cadence, and other than the unnerving sense that things were very wrong, I was in limbo for the entire book. The character development was well done. As a reader you truly get to know Cadence and what is going on inside her head. You get to process her trauma alongside her the whole time, and it’s something that makes her relatable as a character. Once things come to a head and she figures out what truly happened on the island, you feel as betrayed as Cadence does. I couldn’t stop the I trusted you, and you betrayed me thoughts from flooding my head. The Liars and the rest of the Sinclair family are interesting. I wasn’t as invested in their stories other than how they kept things from Cadence. At the end everything makes more sense (obviously), and I can’t imagine what they went through. I like how Lockhart hints at their own personal grief and loss as a family, and how it effects their interactions with each other. This twisty tale is haunting and melodic in the way it’s written. I recommend it to people who are up for a bit of a psychological mystery or someone in the mood for an unreliable narrator. I loved this book so much. It was one that I bought years ago when I got my job as a bookseller to celebrate it. I finally read it at the urging of my best friend, and I can’t believe I waited so long to read it. Let’s take a minute to savor this book. And a moment of silence for the chance I had to read it for the first time ever. 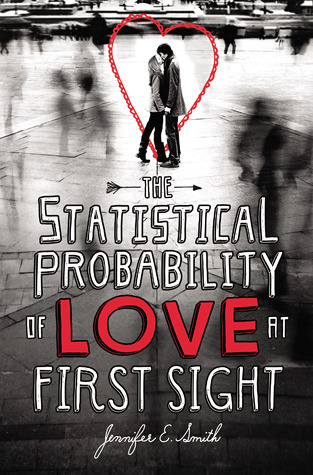 Okay, now let’s talk about how amazing this book is. First, the characters. I loveeeeeeeeeeeeee Dante and Ari. They are dynamic and deep and so beautiful. Ari is the narrator of the story and his thoughts and voice are strong and lyrical. I think the best part of his voice is how genuine it is. Sometimes it takes a while for authors to really get to a character on this level, but right from the start you can hear it and feel it in Ari. 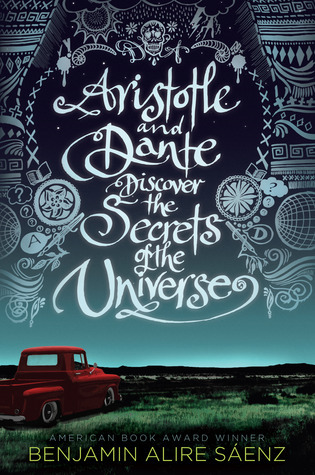 Dante is someone who brings light and perspective into Ari’s life, and that’s what makes this book so beautiful. Their dynamic is something I could read about for a long time. They are gentle and headstrong and they work together so well. The setting of the book works well with the rest of the novel. It’s set in Texas during the 80s. I love how this influences the kind of life the boys live, and how their love develops around it. Saenz’s writing in general is lush and gorgeous. It’s full of beautiful quotes that I need to have framed right now. I even Tweeted one. Ugh. So full of such amazing language that I can’t wait to read The Inexplicable Logic of My Life. Hi there! I hope you’re doing well! I’m aiming to get a good amount of reviews done before the year is up, but it doesn’t help how fast I’m getting through books at the same time. I’m not reviewing all of the books I’ve read this year, but I’m doing a fair amount, so hopefully this will be all caught up! I remember I bought this one mainly on impulse and the fact that it was super cheap on Amazon. And I’m so glad I did! Hi guys!! I’m back with a new book being released this month. 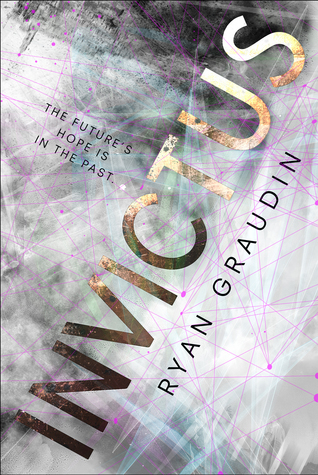 Here I am today with Invictus by Ryan Graudin, and I cannot wait for all of you to read it too! I don’t know about you, but Ryan Graudin is one of my all-time favorite authors. She was first introduced to me through Uppercase when I received her book Wolf by Wolf in the November 2016 box. It was phenomenal. I’m a history geek and I couldn’t get over how beautiful the reimagined history was. There was a part of the novel where it took a sudden turn, and there was a big reveal that I wasn’t sure to think about. 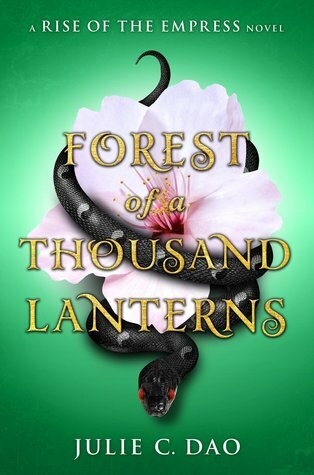 It was like peeling back a third layer to find something completely new, and in the end I really loved the depth it added to the book as a whole. How much do you love a good contemporary novel? I know I do, especially when I’m feeling down! I do sometimes feel like the characters have a tendency to become trite if not written well, but I assure you this one is pretty awesome. I even got to read this before I met her last May for an article with Justine. You can read that here. My best friends can attest to the fact that I’m a romantic. I love love, but so far it’s been a rough go for me. That is why I have my contemporaries to keep me company! It’s so great to have a good, heartfelt book once in a while, and this is one of them. I’m going to back track a little here. I remember when this book came out. I remember going to my local Barnes and Noble with my dad, finding this book, and wanting to read it. However I was persuaded to buy something else and it’s taken me this long to return to the lovely writing of Jennifer E. Smith. I don’t know about you, but I remember the early stages of Young Adult literature. I remember it getting big, and I have been there with it every step of the way. Mostly because I grew up with it. Anyway, enough of the reminiscing! This book starts right off with Hadley boarding the plane to London, and most of it takes place on the plane itself. I have to say that it was well-written with such little things to do with a setting. I love how the story comes together on this little plane and sets you up for the rest of the novel. The characters are enjoyable. Oliver reminded me a bit of Etienne St. Clair (Anna and the French Kiss), and I don’t know about you, but St. Clair is by far one of the swooniest characters to every come across the YA page. (Cricket Ball is still my fave of the Perkins’ boys.) Hadley was a great woman too. I love her vitality and strength throughout the book. Though her stubbornness got in the way at times, she was someone I could root for till the very end. If you’re looking for a good pick-me-up, or something that will just make you warm and fuzzy, definitely get yourself a copy! Hello! It’s September, can you believe it? I am blown away by how fast this year has gone. This time last year I was starting my final year of high school (and a bunch of college applications), but now I’m starting my first year of college. Funny how things work like that. I even wrote about for Justine Magazine. You can read the full article here. Here today I’m throwing it back to high school with a great story about a guy about to graduate. I liked a lot of this book and could relate to a lot of the feelings that Lance was having about college and graduation. I would recommend it to anyone who is experiencing this or is about to, because a lot of the anxieties are true and reflect the feelings I had at least. My one qualm about the book was its believability. I can’t say that I relate to the entire situation. Knowing my own parents, they would have driven to come get me right away if my car had broken down. I would not be able to stay away for so long without much contact to either of them in a random town, especially since I am young and a female. Other than that little piece, I enjoyed reading this! 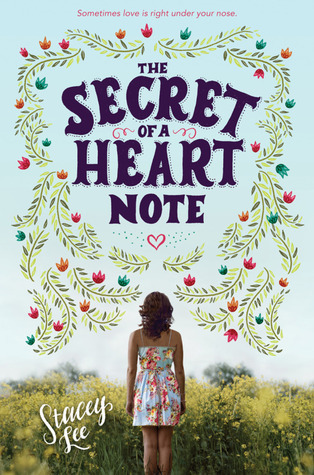 It was a great feel good novel, and I loved the small little twists it had in it. Let’s talk about how awesome Marie Lu is. 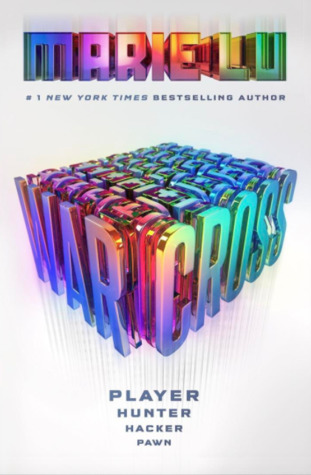 She is the author of The Young Elites and Legend series, and now Warcross. This is classic Lu, and one that won’t disappoint. I even had the privilege of interviewing this lovely lady, and you can find it in the August/September issue of Justine Magazine as well as online here. I CANNOT stress how much I’m excited for everyone to read this book!! I was lucky enough to score a signed ARC at BookCon, and I finally got around to reading it this past August. 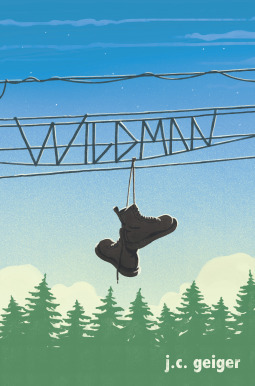 The first chapter was a bit of a slow start, but right after that it picks up. Emika is such a fun character, and I love how Lu writes her as a whole. She is one of my favorites written thus far of 2017. It was a blast getting to know her with each page turned. Lu’s entire cast of characters is pleasing to read about. They are rich in diversity including people of color, abled and disabled, etc. as some of the players central to the plot. I LOVED seeing Emika, but also keep an eye out for one of Daniel’s relatives! The representation isn’t something that is forced into your face, but subtle and well done to normalize seeing these people in books. Lu isn’t seeking to prance her progressive characters into the center stage, but to weave them into the fabric of storytelling so they have their rightful places in literature. The setting of the book is also wonderful. I love how she took the modern world and gave it the tech upgrades that fit seamlessly. It is rich in detail with memorable icons that we know today while providing new take on them to make them more Warcross-like. This is the world that we could become if we follow the technological track that we’re on, but only one of many possibilities. There is a depth to this world, an underbelly that we are exposed to, and they co-exist in ways you wouldn’t suspect. The game of Warcross itself was a little confusing at first. Once I got a handle on what the point of the game was and how to play, I loved delving into each world that Tenaka and his team created. They were worlds from a video game you wish existed. I can only describe it as something like Smash Bros but with so many different elements of every video game that can be combined to create a game that is both thrilling and exciting at the same time. I can’t wait for everyone to read this one! Put it on your tbr and make sure it comes right to your door on release day!